Vegas Luck Casino is the newest baby sibling of older sisters, BGO Casino and PowerSpins. Vegas Luck is an Irish-themed online casino, and of course it has to have a shamrock as their lucky logo. If you are looking for a new online casino at which to play, then check out Vegas Luck to claim your Vegas Luck No Wagering Free Spins on your first deposit of only £10. Yes, there’s nothing wrong with your eyesight! 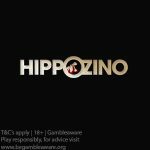 For every £1 deposited, you will receive one Free Spin with zero wagering. No tricks, and no gimmicks. New players will receive up to 50 Vegas Luck No Wagering Free Spins on their first deposit. Check out the details below to see how you can get your no wagering deposit free spins. 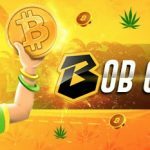 Vegas Luck Casino is a reliable online NetEnt Casino that was established in 2019, and is owned and operated by BGO Entertainment Limited. The casino has a sizeable number of casino games, with a selection of over 250 games for you to enjoy. Play games from casino operators such as: NetEnt, Quickspin, NextGen, iSoftbet, Barcrest, Playtech, Endemol, Gaming Lab, WMS, IGT, Eyecon, and Ingenuity. The casino accepts all the main depositing options to cater to all depositors, such as: Visa, Skrill, Neteller, Mastercard, PayPal, and Maestro. Only new players that are 18 years or older are eligible to claim this welcome offer. New players at Vegas Luck Casino can get up to 50 Vegas Luck No Wagering Free Spins on your first deposit. 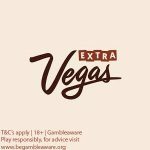 Claim 1 Free Spin for every deposit of £1. Make a minimum deposit of £10 to claim this offer. Play your Free Spins on the following games: Twin Spin Deluxe, Starburst, Finn and the Swirly Spin, and Lights. Deposits made with Neteller or Skrill are not eligible for this welcome offer. Only new players that are 18 years or older can accept this offer. The maximum number of free spins that can be received on the first deposit offer is 50. 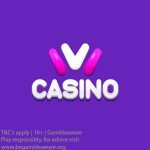 ← Exclusive: Claim your IVI Casino No Deposit Free Spins on registration!